My new favorite cookie! Seriously. These guys melt in your mouth and taste so heavenly. 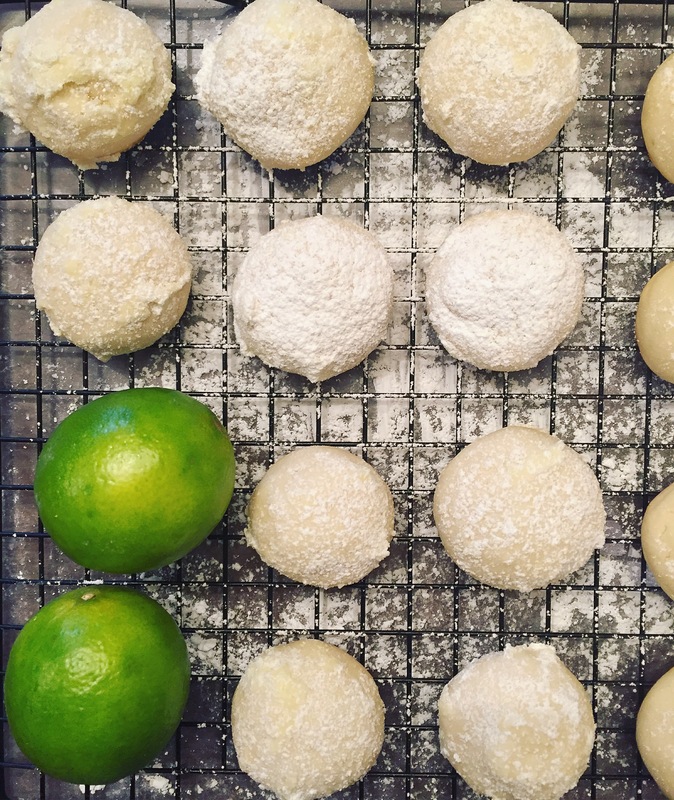 Limes are in season and Lollapalooza is going on this weekend here in Chicago so… I thought the name was appropriate 😉 If you want (need) a sweet and citrusy treat, go ahead and bake these lovelies! Deliciousness overload. Oh, and don’t forget to put on some jams to get the full Lollapalooza affect. In a bowl, whisk together the flour, salt and baking powder. Set aside. In another large bowl, beat butter and 1 cup powdered sugar until creamy. Add in egg yolk, lime zest and juice and mix until combined. Slowly add in flour mixture until dough is formed. It will be a little dry. Cover dough in plastic wrap and refrigerate for 30 minutes. Preheat oven to 350 degrees fahrenheit. Make 1 inch balls and place on prepared cookie sheets. Bake cookies for 15-18 minutes. Immediately, sift powdered sugar on top. Continue to do so until cookies are covered to your liking. 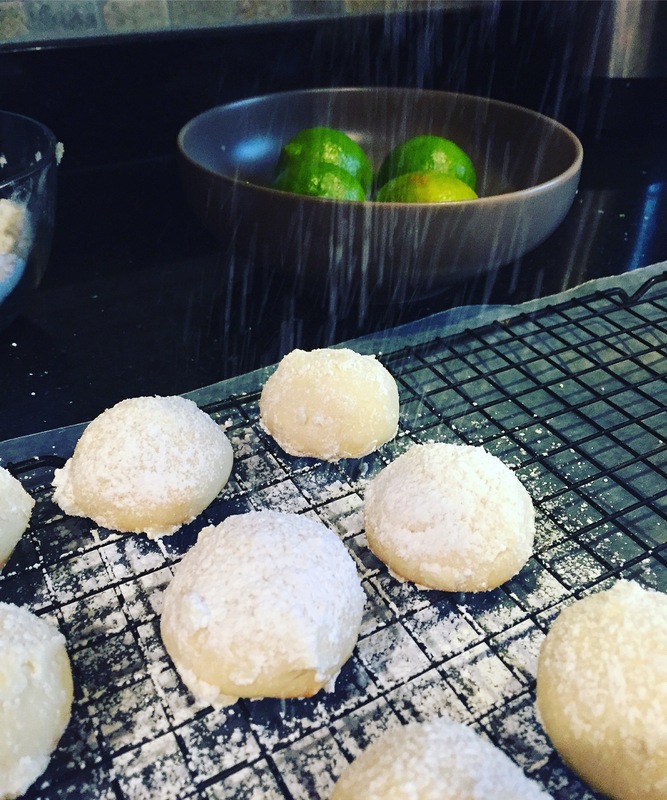 Tip: You can also just roll the hot cookies in powdered sugar. But I always burn my fingers and the cookies sometimes break, so I found sprinkling with powdered sugar easier. Allow to cool a bit on cookie sheet before transferring to a wire rack to cool completely. Store covered for several days at room temp or even in the fridge! Enjoy!